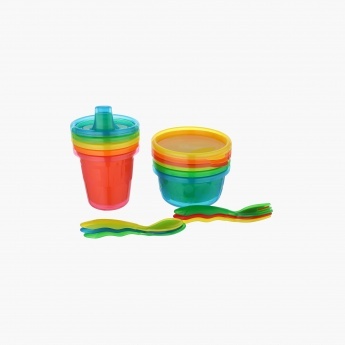 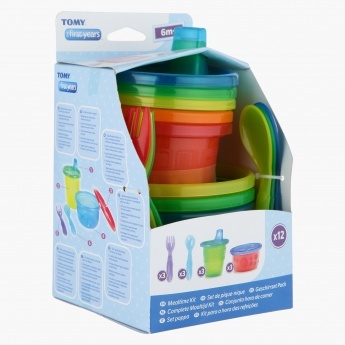 The mealtime will become interesting for your kids as you give them this alluring set. 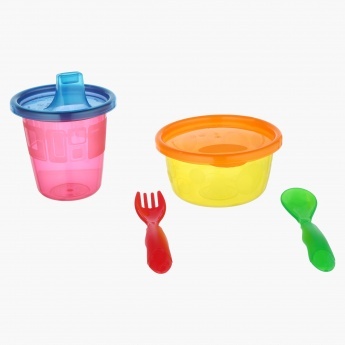 The airtight bowls will keep food fresh and safe for a long time while the lids of beakers will make them convenient for your kid to drink water or milk. The fork and spoon are designed for added functionality.